Conductor Vladimir Lande is the Principal Guest Conductor of the St. Petersburg Symphony Orchestra (Russia). He is a guest conductor of the National Gallery Orchestra in Washington D.C.; Music Director of the COSMIC Symphony Orchestra, the Washington Soloists Chamber Orchestra in Washington D.C., and Johns Hopkins University Chamber Orchestra. He regularly appears as Conductor with the famous Donetsk Ballet Company in Europe and the United States. In the fall of 2009, Vladimir Lande debuted as the Music Director and Conductor of the Contemporary American Music Festival in Washington, D.C. Maestro Lande led the St. Petersburg Symphony Orchestra through their summer 2009 and 2010 seasons, following earlier concerts and a Compact Disc Recording in December 2008. He recorded six more Compact Discs in June and July (2010) with the St. Petersburg Symphony (two of them for Naxos). 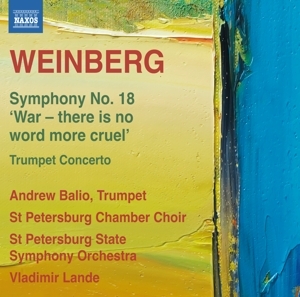 Recordings include several Contemporary American pieces, Tchaikovskys Symphony No. 5, and music by Shostakovich. In October of 2011, Maestro Lande will lead the St. Petersburg Symphony on their tour of the United States (including a performance at Alice Tully Hall), Mexico (including Servantino Festivale ), and South America (including Teatro Colon Buenos Aires). In the winter of 2011, he is scheduled to release five more compact discs with the St. Petersburg Symphony.